I think the effects of *not* having coffee far outweigh the effects of having it! Very interesting. I have always enjoyed coffee, but I have found myself really *needing* coffee lately. I’ve been finding it difficult to go a morning without it. It’s interesting to read about its effects. I enjoy my daily dose of coffee, but it’s good to have a better understanding of its effects. Great article. I do not drink coffee (unless it is Marylous iced and that is usually only saturday, but it is basically flavoured milk) because when I do bad things happen. My heart rate becomes so fast and I start to get the shakes and cold sweats, all from like 4 ounces of caffeine! I think I will just stick to my tea, water and juices. I have friends that have to have it or they start shaking like a junkie if they don’t. It cannot be good for you! People at work always question how I can wake up in the morning without it… my answer you just get used to it. Ok. Good research and writing. But here’s the thing – I don’t want to give up my coffee or my q-tips (http://reachingutopia.com/dont-use-q-tips-to-clean-your-ears-how-else/). Given the choice between yucky, mustard ears (eww!) and using q-tips like I was carefully taught from my youth in the wonderful 1970’s … I’ll take looking my best. Trick or not – I’d rather not feel tired even though I am, than feel the fatigue. Besides, coffee is like wine to its connoisseurs! I’ll take the hint of dark chocolate dark roast brewed to perfection, please. Thanks for this article. I feel TERRIBLE every single time I have caffeine, thankfully I’ve never liked carbonation so I’m not a soda drinker. Coffee makes me bonkers—jittery, irritable! In my epidemiology class, we learned that Mormans and Seventh-Day Adventists have the lowest rates of cancer. When I read further, I found this is likely linked to lack of processed foods in their diet and no caffeine. I love the flavor and ritual of coffee, but never drawn to the caffeine effects. My hubby and I drink decaf every day (every thinks we’re nuts), and still receive the health benefits of coffee. The stroke reduction linked to coffee is not related to its caffeine content. Thanks again, this was so interesting! Thanks for this article. I’ve recently cut down my caffeine (I barely drink coffee at all now) and I feel much better. I was surprised to see I can actually funcion without coffee and now I can see why. I can NOT function without coffee. In fact, all my writing projects would be forever in draft mode without a cup of java every hour or so. I like it very strong, more like a quadruple espresso, with lots of milk and sugar. I like it when my lips involuntarily curl up and I begin hearing my heartbeat in my ears. And then I write… like heck… for the next 8 hours. Great points. I must admit I am quite fond of the morning cup-o’-joe myself. I have, however, experienced some of the unpleasant effects of constant caffeine intake, and have therefore chosen to mitigate my coffee consumption. I’ve gone from a cup of coffee per day to a cup about 1-3 times per week, give or take. I only drink coffee in the morning now, and sometimes early afternoon. This is a big improvement because I don’t get headaches anymore. I used to need a cup of java at bedtime to get to sleep, or in the middle of the night if I woke up! Thank goodness those days are all in the past. Oh, and sometimes I wonder if I should just give it up completely, because even with just having a cup or so every other day, I still get the headaches. I used to have several cups a day and now I have several cups a week, so I thought that would be better, but it may not be good enough. When I was a health nut and in amazing shape (like, a decade ago) I never had caffeine. Maybe I need to go back to that? But I looooovvvee my coffee. It’s like a bad boyfriend I keep going back to every time I get horny. This is really interesting. I am trying to cut back on my coffee drinking and I think some of this info will help me focus on the positive things cutting back will do for my health (maybe thinking of those things will help me get past the headaches, too!). A very informative blog, however of all the drugs I think Caffeine is one thing not to worry about. 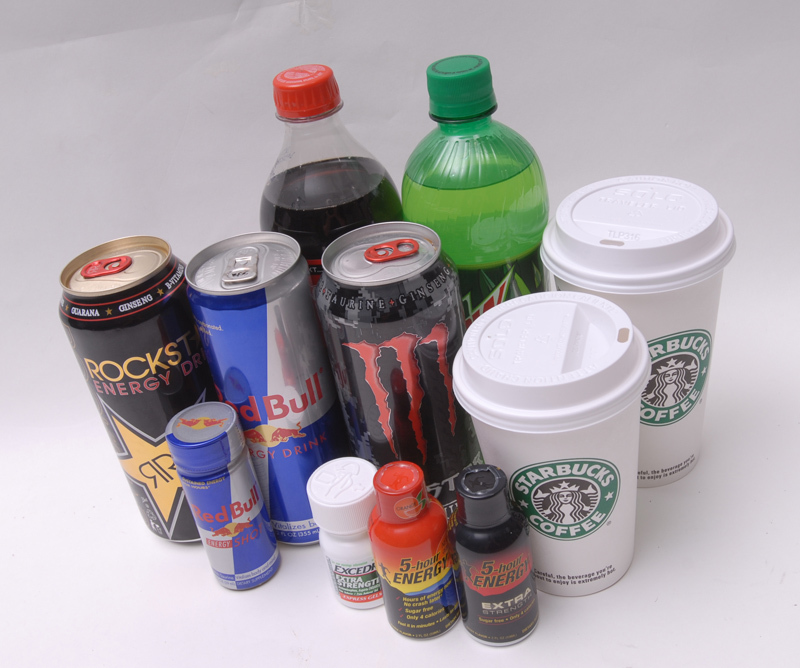 Of course fizzy drinks and energy drinks are undesirable for their other contents but coffee/caffeine doesn’t seem to bad from what I’ve read. For instance when we wake we are groggy, then without caffeine within an hour or two we naturally start to waken up. Generally when a person has their morning cup of coffee the effects they believe the coffee have kick in around about the same time said persons naturally wake up. I can’t remember the paper I read this in but it’s very interesting and speculates that life with coffee may not be much more stimulating than life without coffee. Interesting information. Thanks for sharing. Something to think about. Very good information and very true. I don´t drink any kind of coffein, because it makes my body totaly hyperactive, but feel so sick at the same time, it´s a nightmare. Very nice information. My Urologist friend hates coffee. He says that it is not good for men’s prostate health. It’s acidic. Also, it causes GERD by lowering the lower esophageal sphincter tone. Drink more water; that’s better. I am allergic to caffeine, it literally makes me sick if I have it. But I do love coffee. Thankfully, with having a Keurig, I’ve found there are many great coffees offered in decaf. I love dark, rich coffee, the darker the better, so I was thrilled to find I can get several kinds of K-cups in dark roast that are decaf. I was always a bit sad that I couldn’t get “fancy” coffee drinks because of the caffeine until a family member told me that Starbucks does offer several of their lattes and frappes in decaf. Now my local Kroger has a Starbucks inside so guess what I get as a treat when I’m done shopping?! Thanks for the great article! I love the idea of good decaf. I don’t really do coffee as I don’t like how it leaves me feeling, but as you say the taste, and in fact for me the smell, is wonderful. So this is a great idea. People take caffeine for granted, I suppose because it’s part of our cultural tradition, and because it’s naturally occurring. It’s interesting to note, though, that coffee contains all kinds of other biologically active compounds, not just caffeine. Coffee accelerates digestion in ways that other caffeinated beverages don’t. A little over a year ago, I changed my diet to one that is plantstrong, in that I eat a large number of vegetables and no animal protein. As this change took hold, I needed less and less caffeine to the point where I just stopped drinking coffee about a year ago. I have had 2 cups of coffee since — one decaf and one half decaf and half full caf. No headaches. Before the switch, I had been drinking 7-10 cups a day. I do occasionally have a cup of tea, maybe 2 or 3 per week. Have MA degree as Certified Holistic Addiction Professional( did the studies but not in practice). Too few people understand that caffeine and nicotine too are addictive drugs just like pills and alcohol and dope. You have covered this subject very well. They will have to peel my dead hand off the coffee mug. I do agree on the energy drinks. Glorified pop. I was never too big on coffee but I’ve been strangely addicted to at least one cup the past few days. I’m going to go cold turkey on it though. Plus, I’d rather put those few dollars elsewhere lol. Gotta love caffeine though! Tried to quit a couple years ago but the pain was pretty intense and I felt like I couldn’t function at work. Pretty sure I only made it 3 days in. Always told myself I would do it over a vacation but don’t want to ruin my time off! — Been considering jumping ship again. Great post. I gotta have my morning coffee, but after that, I rarely have much caffeine. I’ll be thinking of the advanced aging first thing in the morning as I’m tossing back a cup! Wow, shoot. That was great. I’ve always been a little bis suspicious of caffeine. As they they, “If it seems too good to be true, it probably is.” And caffeine just seems to be promoted like it’ll solve all your sleepy problems. I have something that deals with my sleepiness… it’s called sleep. Really good info. I like my caffeine one piece of chocolate at a time. I can’t do coffee. I’ve tried, and it does not taste nearly as good as it smells. It’s a con artist! All food is a drug in one way or the other. For myself I can’t say that I’ve ever noticed side effects from coffee—I drink it because I love it; I haunt Starbucks because I like the ambience and delight in the young folks who ‘hang out’ in there. I love the smell, the aroma of freshly ground and brewing java, the smoothness and tangy bitterness … and afterwards I get a nice big bag of coffee grounds free for my garden. I’ve collected quite a few. Wow, even better reasons to stay away from caffeine! Excellent information! Feeling a sense of grim as my ol’ chum sits in a mug beside me…or so I thought. I do like my caffeine! I just finished a cup of coffee in fact. But I am trying to cut down on it. I used to drink eight cups a day. Yes, I was quite jittery. I admire people who don’t depend on a cup of coffee to wake them up.